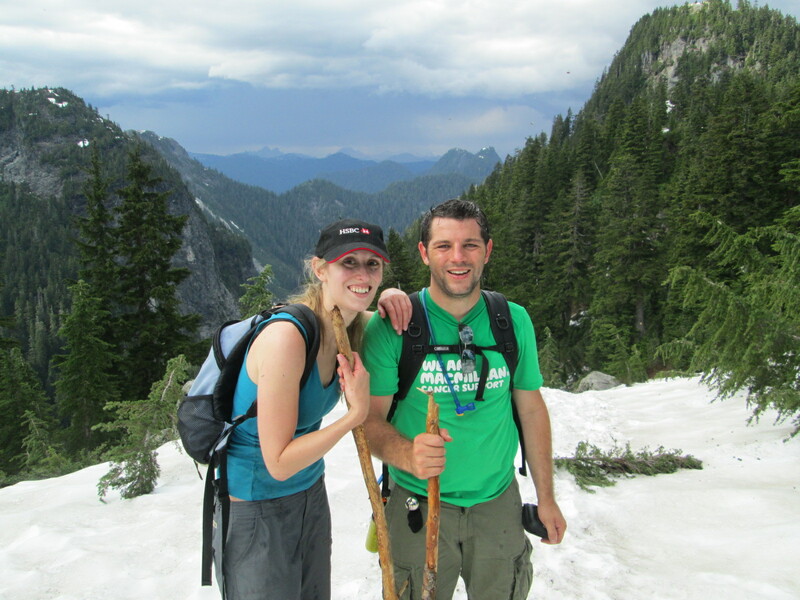 The toughest hike of our lives all started in the safe and cosy suburban surroundings of a friend’s BBQ. 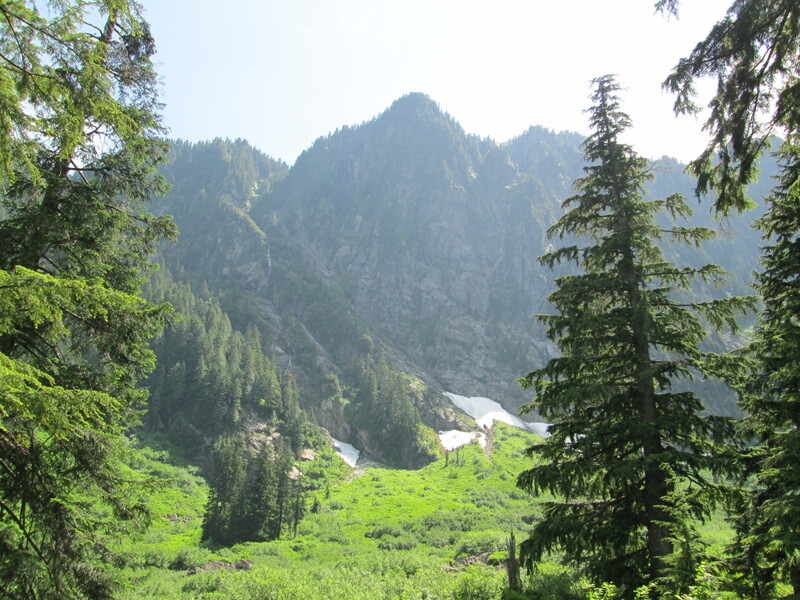 As the beers disappeared war stories of sporting and physical achievements were traded until one bright spark asked if we had done the Hanes Valley Trail on Vancouver’s North Shore? 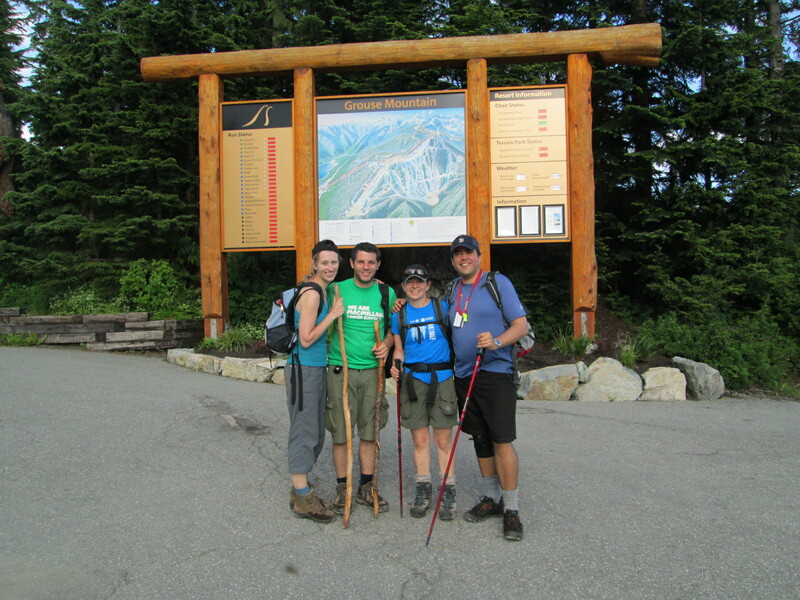 We had not, but being young and keen to experience all that Canada has to offer we joyfully accepted the invitation to join our Canadian friends for what we thought was a casual day hike…. 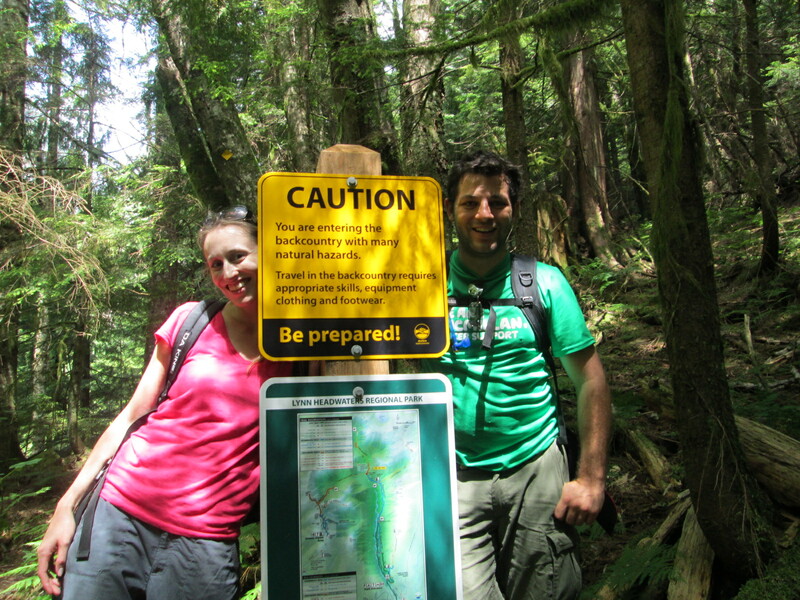 Having hiked in the Lynn Valley before, we were aware that there would be no concession stands so decided to make sure we were prepared for what lay ahead and packed the bag with an English survival kit consisting of cans of coke, chips (aka crisps) and some Cadbury’s chocolate! We dropped the first vehicle off at the base of Grouse Mountain around 9.30am, and struggled to find a spot thanks to the super keen summer Grouse Grinders! Eventually we found an unused bank at the end of the free dirt car park (we had a bad feeling we would regret that extra 500m walk back to the car later on that day!). 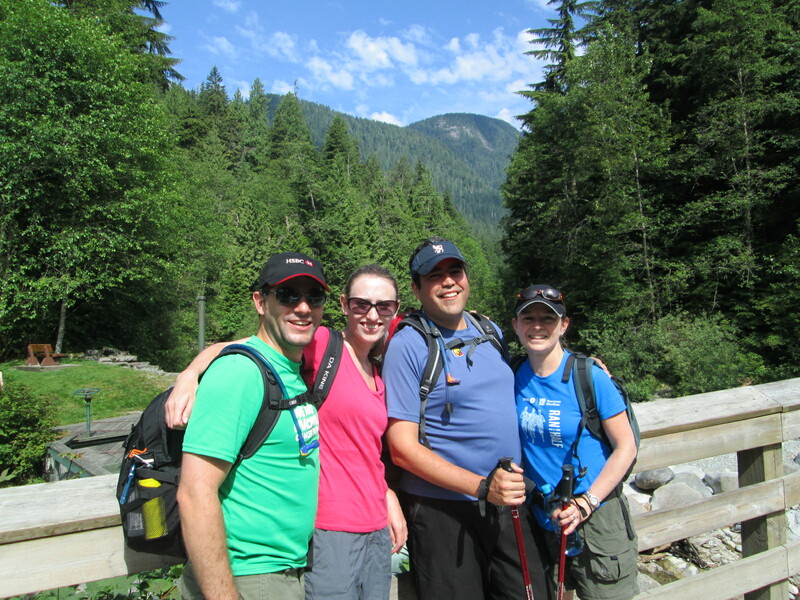 Our nice friends met us, and we were soon whisked off to the Lynn Valley Headwaters Car Park to start the walk in the summer sunshine. As soon as we hit the start of trail our phone signal disappeared. The first 6km or so of the hike through rain forest was relatively flat, although you had to keep your eye out for raised roots and large rocks on the trail, and the endless stream of super fit trail runners speeding past. 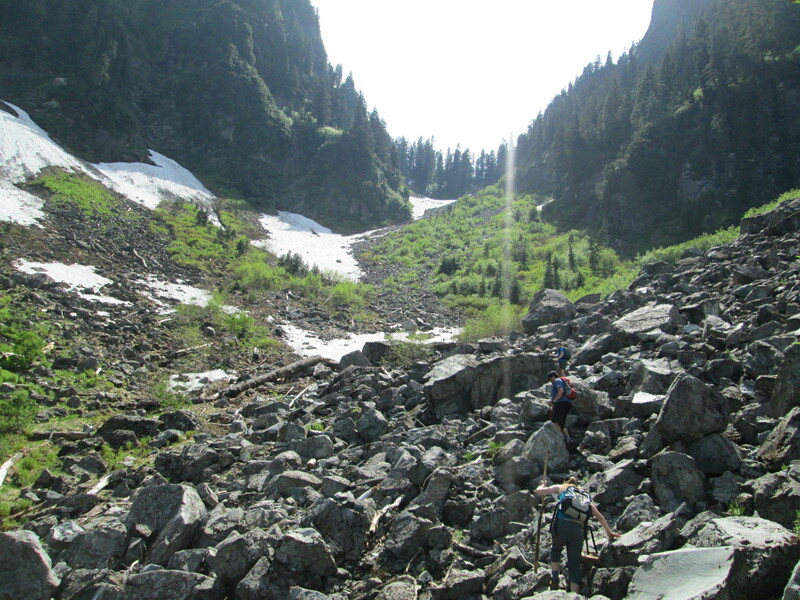 The main highlight of this first part of the hike came at Novern Falls, a 10 minute detour from the main trail. It’s a good photo spot and an excellent lunch location. 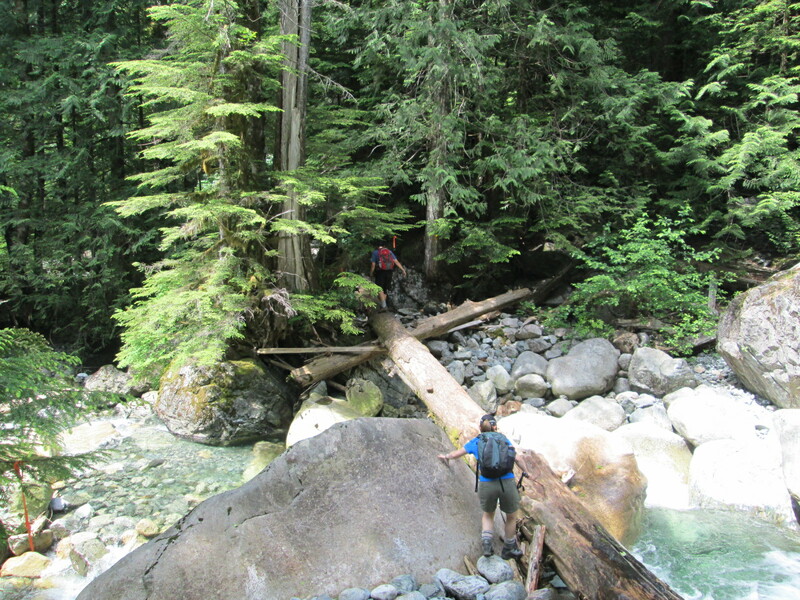 We crossed a metal suspension bridge which is the gateway into the Hanes Valley and marks the start of the ”Backcountry.” The trail steepens through the forest before a narrow descent down to Lynn Canyon Creek which offered a place to get ‘refreshed’ in the summer heat. Next came the first sign that this hike might be more than a walk in the woods….what should have been a bridge was actually a 20ft fallen log crossing, with a 10ft drop in to the icy water below. Crossing techniques varied from an inch by inch bum slide approach to a more confident quick stroll, don’t-look-down manoeuvre. With that obstacle overcome, there was no turning back and we were now committed to what lay ahead! The trail then meandered through some pleasant grassland, forest and bushes. With the berries evident we busted out the bear bells, unpacked the bear spray and made as much noise as possible by shouting “hey bear” at any blind corner to ward off any four legged friends. We eventually made out it out of the bush to a helicopter pad and a strange looking cylinder, which is apparently is where North Shore Rescue keep their equipment. An ominous sign given what we were about to discover…. 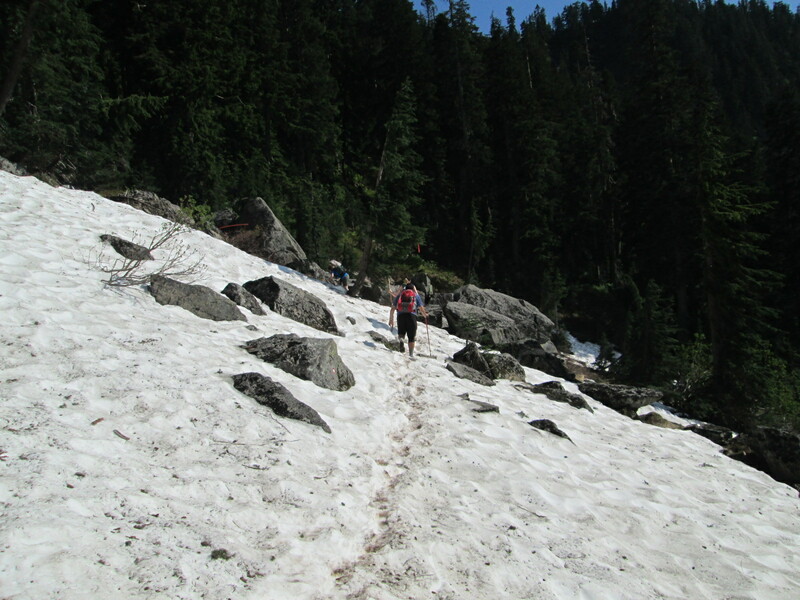 The first climb was a 500m scramble up a loose scree slope to Crown Pass which took the best part of 2 hours in the summer heat, and converted our hike to minor mountaineering status! 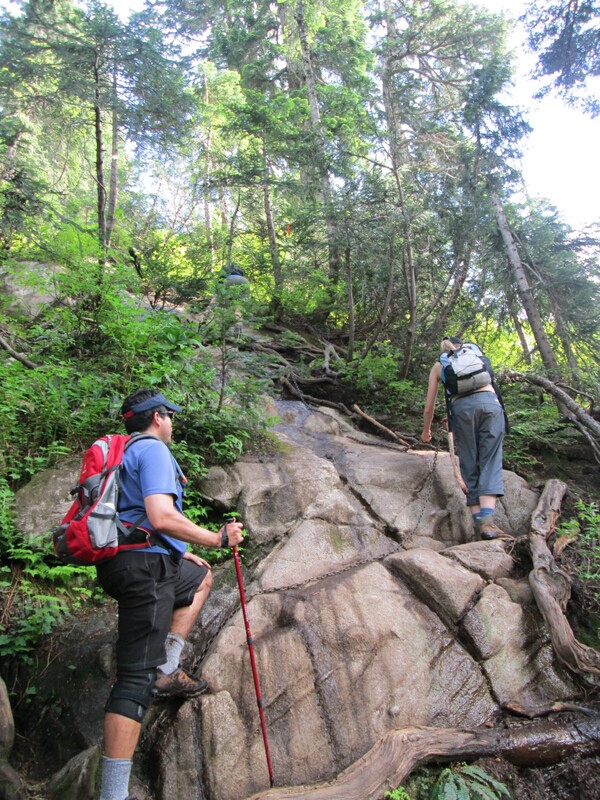 There was no marked trail, it was find your own way and hope the rocks did not give way! Feeling a huge sense of accomplishment, we soon realised more challenges lay ahead thanks to the snow which had yet to melt despite it being late July and the clouds of bugs which seemed to get thicker with altitude! We quickly had to make improvised hiking poles out of dead branches in order to maintain our balance on the slippery conditions as we made our way to the summit of Goat Mountain. The hardest part of the final climb was certainly the 50m chain ladder which felt like it was on a 45 degree pitch! Having conquered Goat Mountain, and nearing the end of the hike we managed to lose the orange markers and so were unable to find the official trail back down to Grouse Mountain which was visible below us. 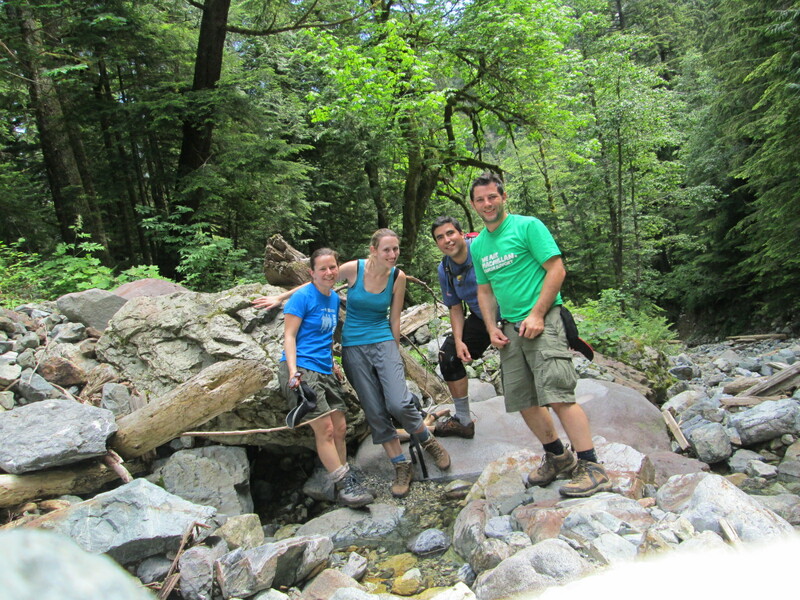 In the end, we followed a creek bed down, which brought our soaked feet out onto a path below the Eye of the Wind. 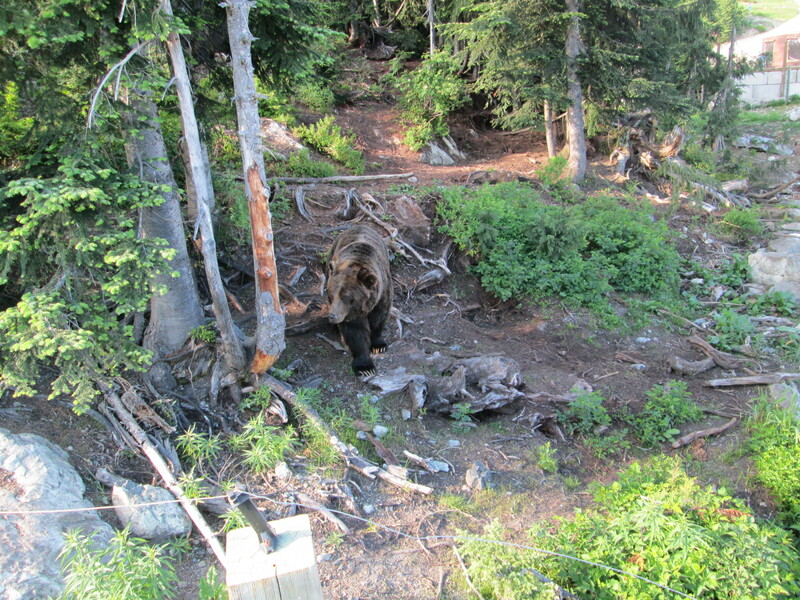 Exhausted, from 8 hours of solid hiking involving 1300m of climbing, we emerged back in civilisation and we were greeted by the welcome sight of Coola and Grinder, the resident Grouse Mountain Grizzly Bears, bathing in the sunshine. 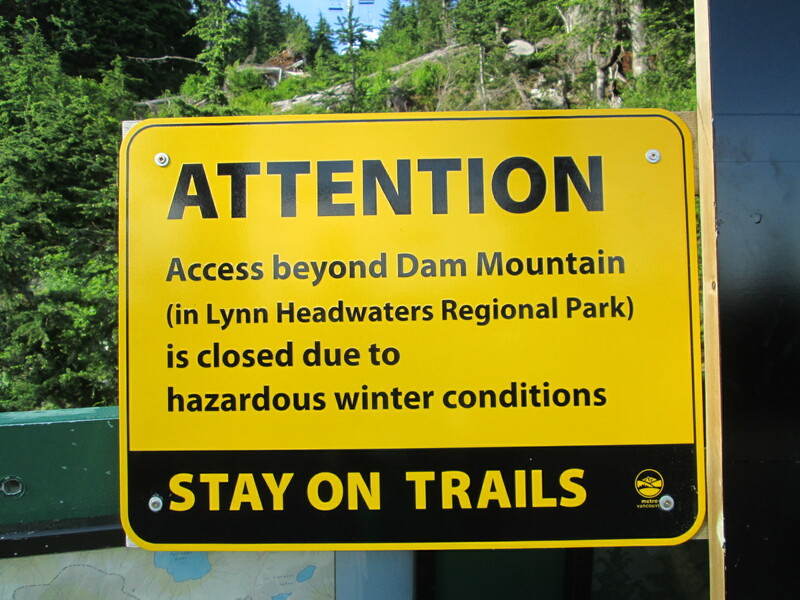 As we staggered towards the Grouse Mountain Day Lodge, we noticed a large sign saying the Hanes Valley trail was closed due to winter conditions, something we wish we had seen at the start of the hike at the other end. This may explain why we saw no one else all day! 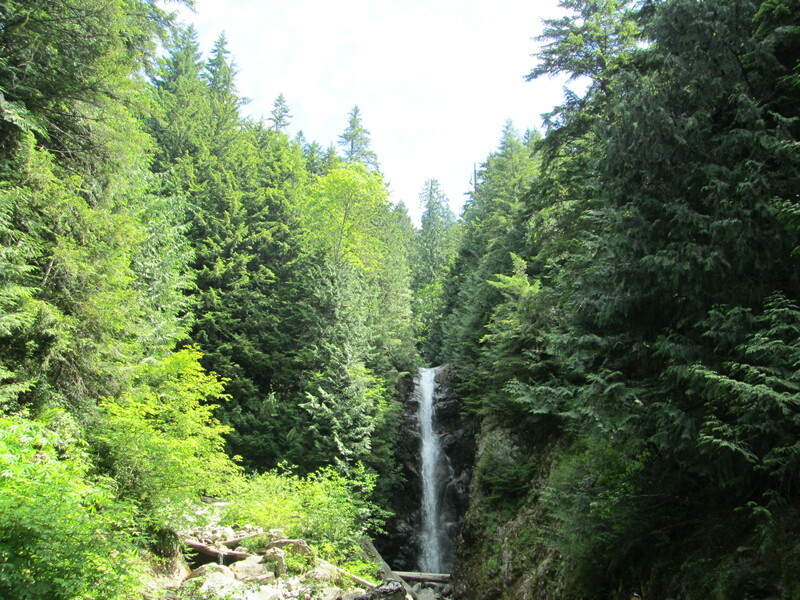 Make sure you bring enough water, we had 5 litres between 2 and it was all gone by the time we reached Grouse Mountain. In addition, gloves and hiking poles would have been great extras! 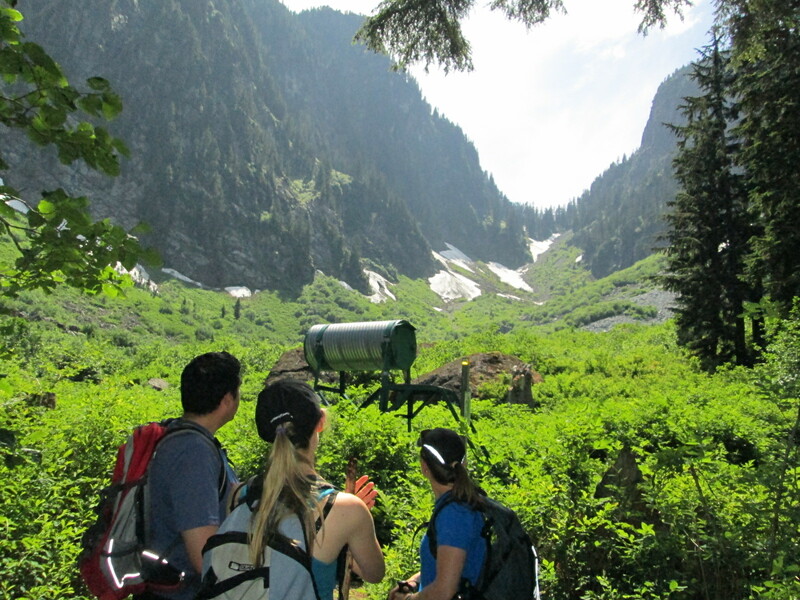 In summary, a challenging summer day hike with lots of geographic variation which is well suited to experienced hikers who are well prepared and have done their research! Great trip report! One of my favorite loops on the north shore. Thanks for the link to Outdoor Vancouver also! 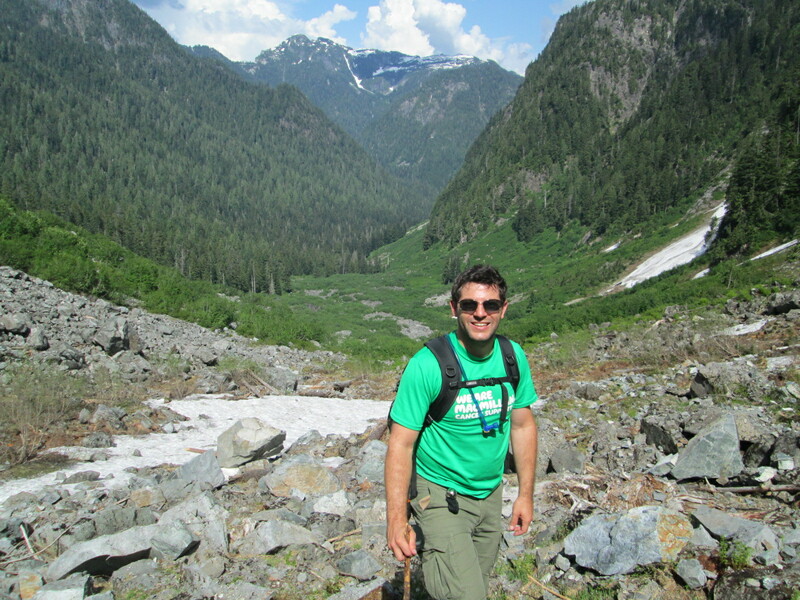 Thanks Karl – its was a great hike! We look forward to discovering more on the North Shore!